1. Higher accuracy: Importing servo motor and ball screw, ensuring the consistency of quantity production. 2. Better stability: Professional constant temperature water cooling machine, promising the temperature precision within 1℃. 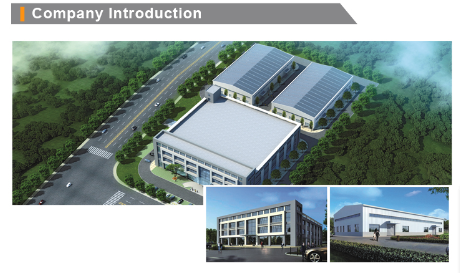 Independent research and development of high voltage power supply that has monitoring, directing, protective function. 3. 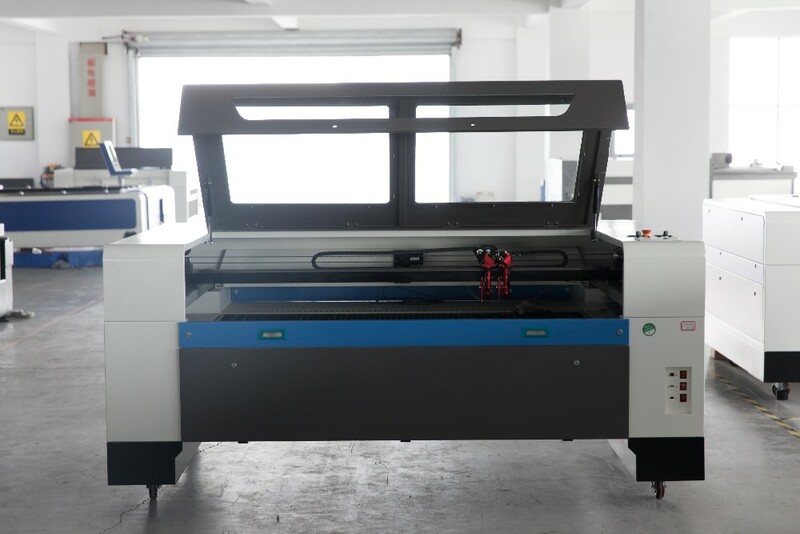 Cutting thicker, more smooth for acrylic cutting: The maximal thickness is 30mm for acrylic. The cutting surface is smooth and bright. 4. Several working area 6040 6090 1390 1610 for your choose. wood, organic glass, crystal, acrylic, plastic, cloth, paper, leather, rubber, ceramic, glass and other nonmetal materials. 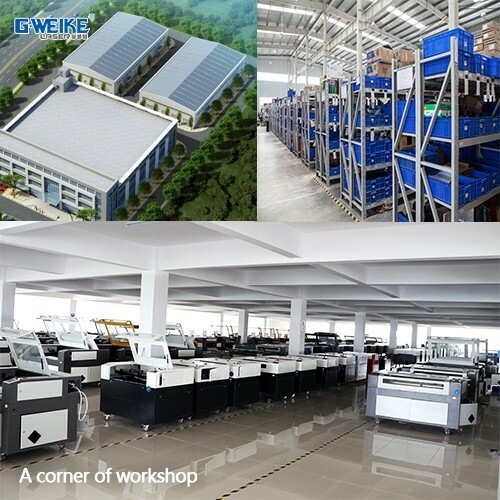 GWEIKE is established in July 2004 , owns more than 500 square meters of researching and office space, more than 32000 square meters factory.All machines passed the European Union CE authentication,American FDA certificate and are certified to ISO 9001. 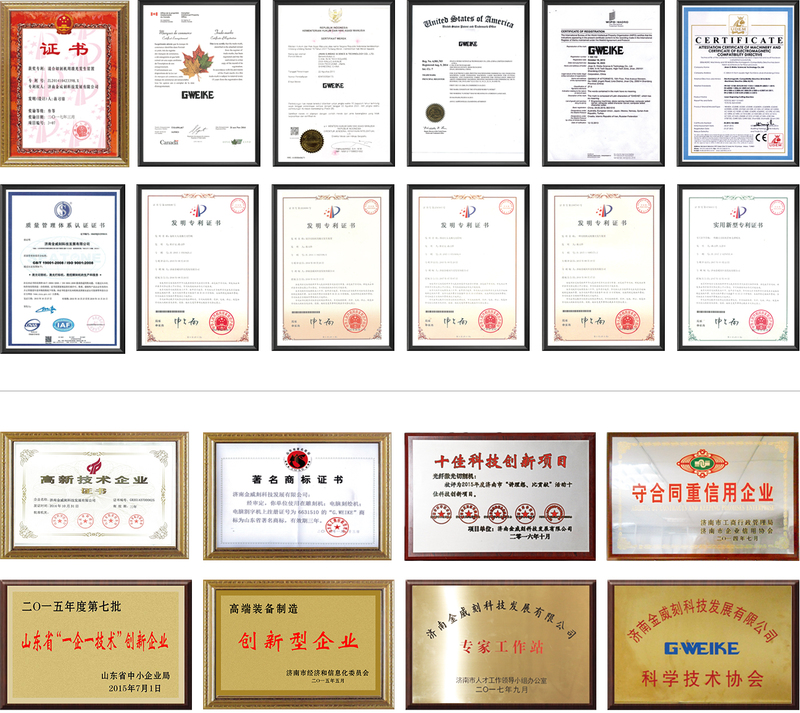 Products are sold to USA, Canada, Australia, Europe, South east Asia, Africa etc, more than 100 countries and areas, and supply OEM service for more than 30 manufactures. 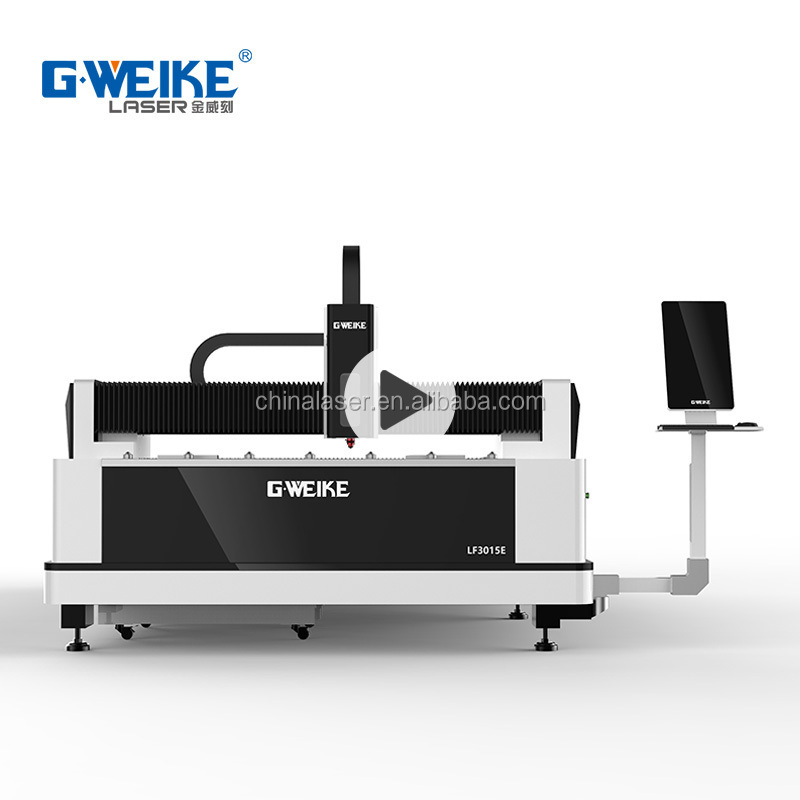 Gweike has CE, ISO, FDA certification and many patent of invitation. 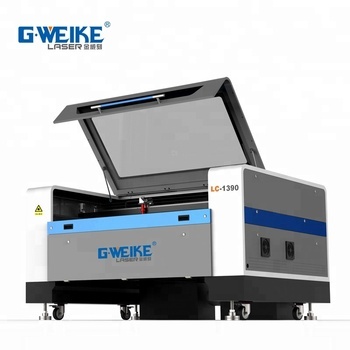 We shipped more than 5,000 sets co2 laser cutting machineand cheap max raycus nlight ipg fiber laser to USA, more than 2,000 sets cheap fiber laser 4000W cutting machine fiber laser cutter for mild steel stainless steel galvanized steel fiber lazer to Europe each year. 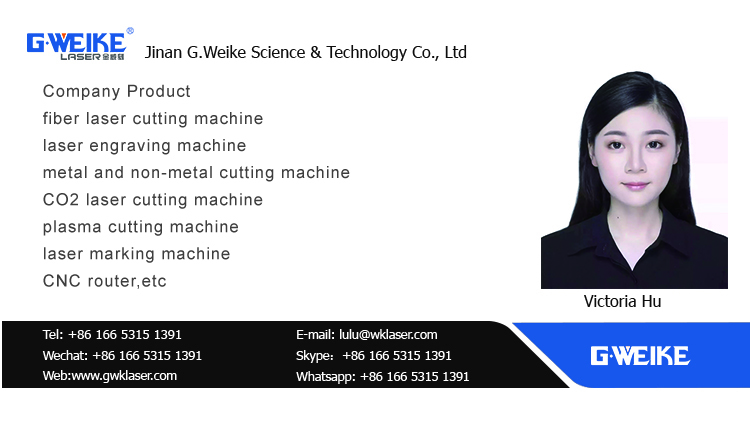 Some other laser cutting machine are shipped to middle east, south east Asia, South America, Africa etc. Three years warranty for machine. English technical to door service. Pre-sales: We always try our best to fully understand customers’ needs and therefore to develop several solutions for them to choose the most suitable machine. 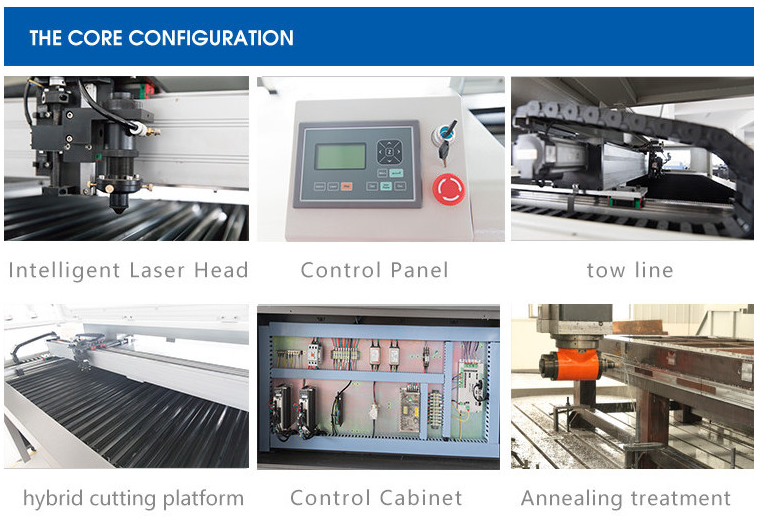 We offer free and professional consultation service about laser cutting sets to the engineering technical personnel and users from customers’ sides. We can also provide free proofing and make samples for customers. 2. Fumigation wooden box:Our wooden box is fumigated, do not need to check the wood, saving the transport time. 3. 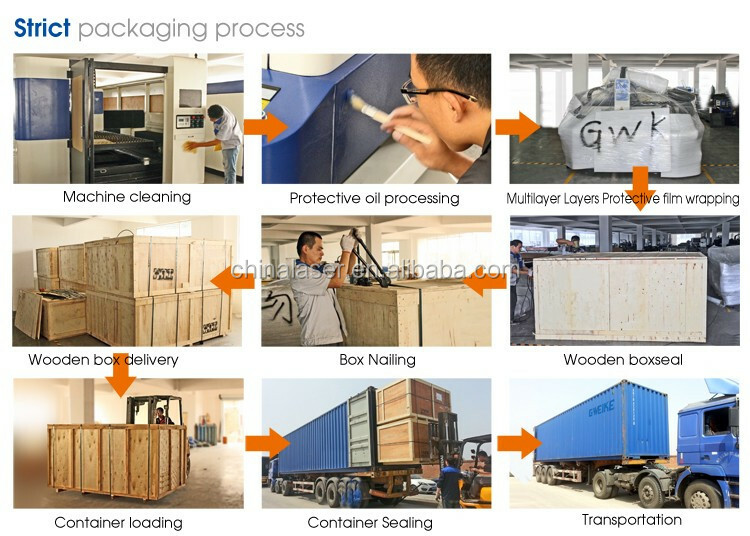 Whole film packaging machine: Avoid all damage that may occur during delivery. Then we will cover the plastic package tightly to ensure that the soft material is covered intact, also avoiding water and rust. The outermost is a wooden box with a fixed template. 4. Wooden box at the bottom of a solid iron socket for easy handling. 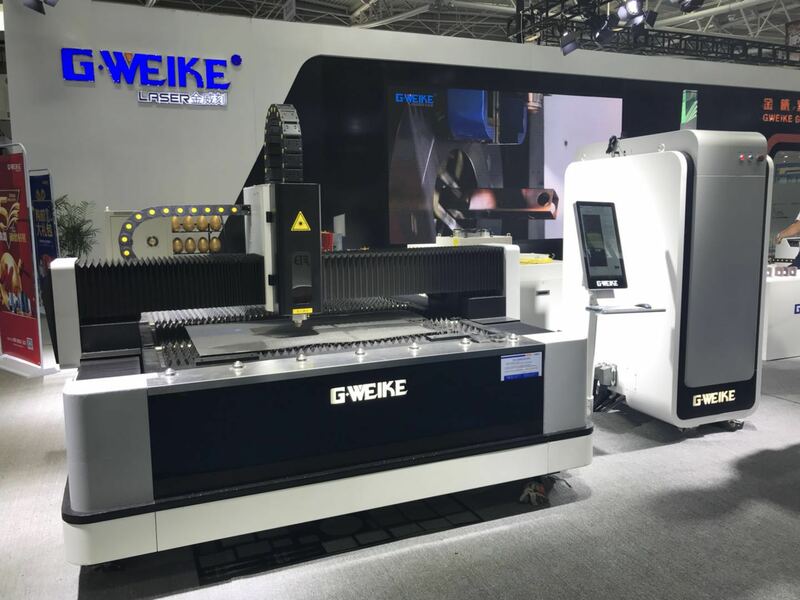 G.weike company attended many exhibtions each year.in 2016, we attended three proffessional exhibition in Shanghai, two exhibition of Canton fair, one exhibition in Iran, one exhibition in South Korea and several exhibitions in domestic. 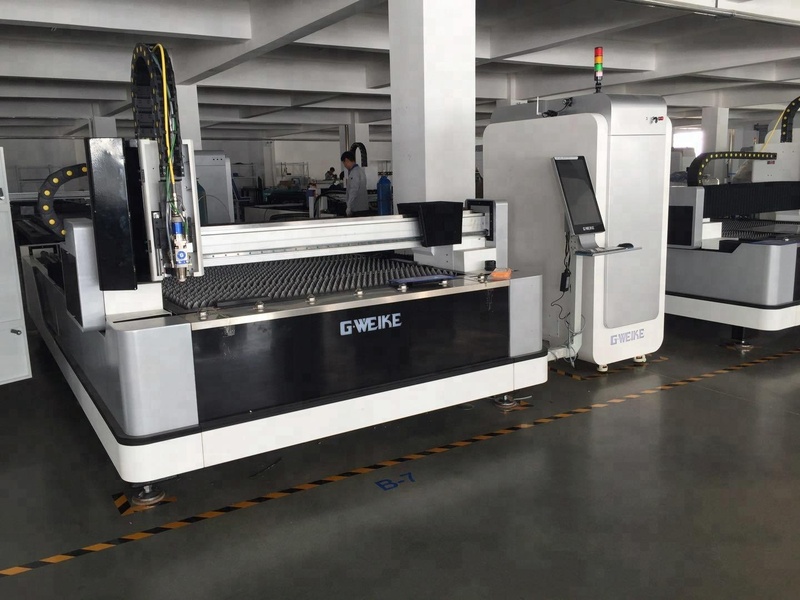 We showed co2 laser cutting machine, ffiber laser cutting machine price,cheap max raycus nlight ipg fiber laser,hot sale fiber laser tube cutting machine tables and metal nonmetal laser cutting machine etc. 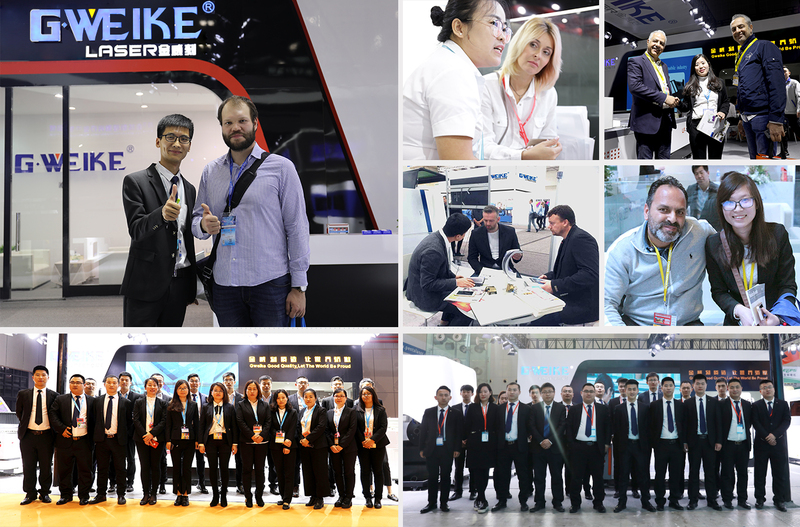 Each year, we attend all kinds of trade shows at home and abroad. You can consult us in advance and inspect our machine at the trade shows in person. 1. I never used this kind of machine before. Is it easy to install and operate this machine? We provide machine manuals, operation procedures and other relevant materials, including video CD and English instruction manual. If required, our technicians will follow up the installation and debugging in the whole process and provide about 3-7 days free operation and maintenance training for customers. 2. How long will it take to learn to operate a laser machine? 3. How do I pay for the machine? We suggest T/T (Telegraphic Transfer), but you can also choose online or other method of payment. 4. How can I tell the power of a laser tube has been exhausted? The beam color of a new laser tube in operation is purple. When the power is gradually depleted, the color will become white.